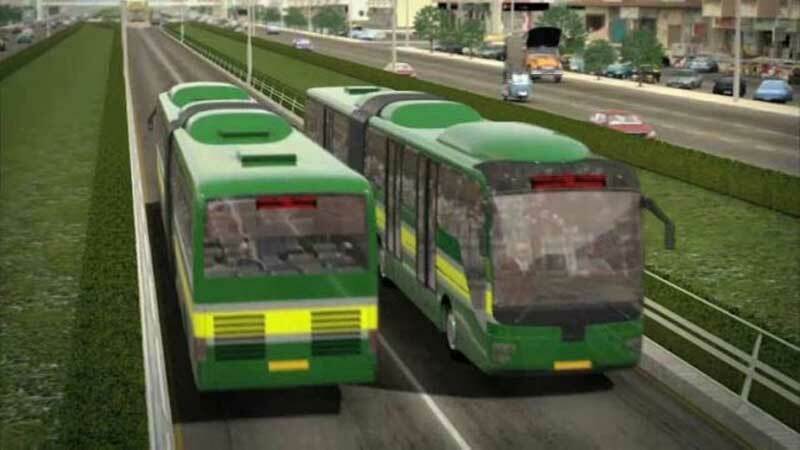 Federal government is likely to provide a fleet of buses for Bus Rapid Transit System Green Line, according to officials in Federal Ministry of Communication. The officials said that due to the importance of this public interest project, the centre has decided to provide buses for Green Line in case of a delay in the procurement process. Meanwhile, federal Secretary Shoaib Siddiqui during his visit to the megapolis on September 8, held a meeting with the officials of Karachi Infrastructure Development Company (KIDC). During the meeting, he assured the officials that federal government would provide all sort of assistance in the federally sponsored BRTS-Green Line project. According to sources, a briefing regarding Green Line and other development projects initiated in the metropolis was also given by communication secretary and other relevant officials to Prime Minister (PM) Imran Khan on Sunday. During PM’s visit to Karachi, federal and Sindh government officials would also brief him about the ongoing and future development projects in Karachi. The Sindh government was entrusted with the responsibility of procuring 80 buses, including double decked buses for the Green Line project. However, despite the selection of a company on Private Public Partnership (PPP) mode by the Sindh government, there is going to be a delay in the procurement process since the company stated that it would provide buses after eight to ten months of signing the accord. Reportedly, a Lahore-based company called ‘Crown Transport’ has been approached for the procurement of buses too. However, no agreement has been signed in this connection yet. According to Project Manager Zubair Channa, 27 kilometers long elevated and ground bus track project from Surjani Town to Sabri Chowk on M A Jinnah Road would hopefully be completed by December 2018 and out of 27 bus stations on route, nearly 12 would be completed by the end of December. Channa further said that the underpass at Numaish Chowrangi would be completed in due course of time. “Work on sub-station at Numaish Chowrangi has been stopped and work would be restarted after Muharram,” he added. Reportedly, other ongoing federal government sharing projects including water and sewerage would also be discussed with the PM during his visit. Shoaib Siddiqui said that re-tendering process for purchase of 50 fire tenders and 5 snorkels was in pipeline and he hoped that this would be completed by December 2018.”Execution work on three federal government funded flyovers at Sakhi Hasan, Five Stars and KDA Chowrangi in North Nazimabad and on two city roads on Nishtar Road and Manghopir Road has been started,” he informed Daily Times.